If the Facebook privacy debacle has shown one thing, it’s that technology companies have become immensely powerful and seemingly accountable to no one. 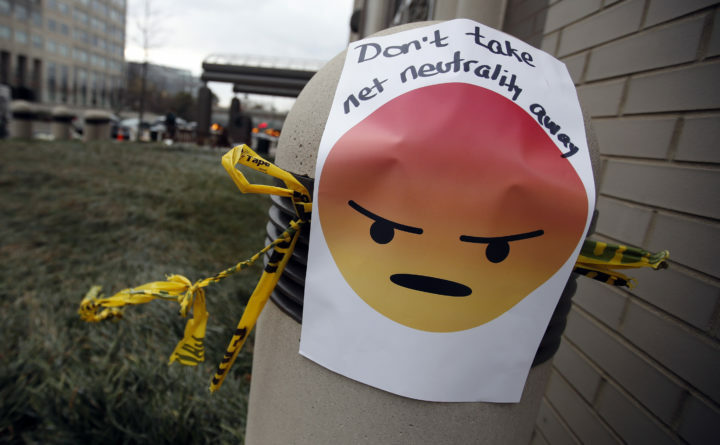 Recent federal rollbacks of net neutrality and online privacy protections have put Americans in an even weaker position when dealing with internet service providers. But there is a way for the public to push back: through internet service provided by local governments, which are directly accountable to citizens. As the chief information officer for Concord, Massachusetts, I’ve overseen the creation of a successful municipal broadband system by treating internet service like what it really is — a public utility, like water and electricity. We’re providing residents with broadband internet service that is inexpensive and reliable and respects net neutrality and privacy principles. Internet service providers often find themselves on lists of the most hated companies in America. But in our latest customer survey, 90 percent said they’d recommend our service to a friend. More than a decade ago, we started hearing that the available broadband options — cable and DSL — were not meeting our residents’ needs, and Verizon wasn’t going to build Fios in our town. Indeed, there are many communities in the United States, especially low-income areas, that are severely underserved by the big telecoms because the companies don’t think offering good service would be profitable enough. An astounding 1 in 3 rural residents does not have access to high-speed internet. Concord has had a municipal electric utility since the early 1900s. At our town meeting in 2009, citizens approved a plan for the utility to build a fiber-optic network because it needed upgrades to support such “smart grid” functions as advanced meter reading and load-management programs. And in 2013, the town meeting approved a plan to use that network to provide internet service. Although we spent money to invest in this new infrastructure, once we started working on the system, we found that we could save money. We used our fiber-optic system to interconnect the schools, library, other town buildings and water system sites, saving tens of thousands of dollars a year on expensive and increasingly unreliable telephone lines. Once we started providing our own internet service, the town saved even more. Four years ago, we wired the first homes in Concord for public internet. More than 300 people indicated their interest on the first day we announced, and it took us quite a while to catch up with that. To control costs, we planned for long, smooth upward growth, adding about 25 new customers per month. The demand has been so great that we don’t even advertise — we depend solely on word of mouth. We have simple, flat-rate pricing without any of the confusing packages that customers of private telecoms have to deal with — and we don’t raise the price every year or two. In fact, twice in four years we have increased internet speeds with no price hike. Our internet service operates under rules set not by a for-profit company but by locally elected leaders and residents who volunteer to serve on the service’s board. We strictly abide by the principles of free speech and net neutrality, which means that all internet traffic is treated equally. We also protect privacy by not sharing customer information with anyone. Some people object to municipal broadband out of concern that it could end up costing the government money. While that’s possible, there are many ways to do it responsibly and economically. Fiber-optic cable is the type of decades-long infrastructure investment that municipalities are generally good at managing, such as sewer systems and roads. In Concord, we issued bonds to get started, and they will eventually be repaid by revenue from customers. So far, broadband revenue is covering our operating costs. The debt is financing the cost of adding about 300 customers per year, and we project that by 2020, revenue will be covering these expansion costs as well. On top of that, there are the benefits that come with being a place that offers high-quality, high-speed internet to homes and businesses. Hundreds of other cities, towns and counties are also providing internet service in various ways. For communities that don’t already own their electric utility as we do, it’s harder to get started but still possible. In Leverett, Massachusetts, which had very poor cell and cable service, the town decided to borrow funds to build a fiber-optic network to every house. To operate the service, it contracted with another municipality’s electric utility that was already providing internet. Now anyone in Leverett can get broadband for about $50 per month. The lesson from our experience is clear: Washington and the big telecoms are letting us down, but local leaders can protect people’s rights and expand access to quality internet with municipal broadband. Mark Howell is the chief information officer for the town of Concord, Massachusetts.